I'm really surprised of the final outcome, AT&T withdrew their request to the FCC about the buyout after the Department of Justice (DoJ) determined that the buyout was not in the interest of the consumer or the employees of T-mobile. In addition, it doesn't take a genius to realize if the merger were to go through, their rates would go up. AT&T had until sometime January 2012 to make a decision if they were going to move forward in court with the DoJ in being able to proceed with the acquisition. The irony is, internal documentation AT&T had come up with if the plans went through were publicly leaked which basically stated the opposite of their claims. 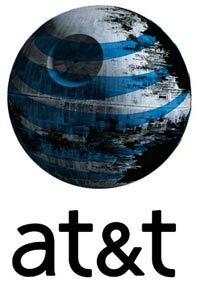 It was clear that AT&T didn't have any proof that the merger would be in everybody's interest.and that's why rather than proceed with the fight they decided to back out.. So what does this mean now? Bascially T-Mobile is going to get a HUGE chunk of cash from AT&T (as it was either some sort of law or agreement both companies had), in addition T-Mobile will also get some Advanced Wireless Services (AWS) spectrum in 128 markets, this would increase their coverage to about 5 million new households, plus the roaming agreement that T-Mobile has with AT&T will be extended another 7 years. I'm happy of this outcome and it just proves that at least one person that works for the Government has some common sense.